MARCELLUS, NY (December 18, 2014) – When the Rachael Ray Show contacted McClurg last month to ask for assistance with a kitchen makeover for an Auburn, NY mom who is battling cancer, McClurg employees immediately volunteered to help make her dream come true. MARCELLUS, NY (October 6, 2014) – McClurg, a design-build remodeling and home repair contractor serving greater Central New York, has been named to the 2014 Remodeling 550 list of the nation’s largest full-service remodelers by REMODELING magazine. McClurg is ranked No. 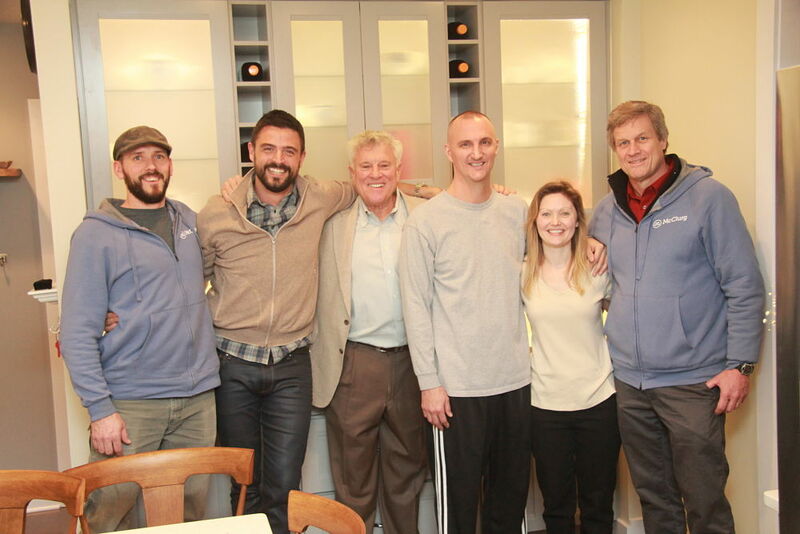 58 in the United States, up six places from the 2013 list, and the largest full-service remodeler in upstate New York. 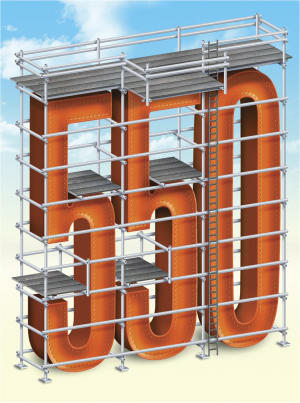 MARCELLUS, NY (August 25, 2014) – McClurg, a design-build remodeling and home repair contractor serving greater Central New York, has been named to the 2014 Top 500 list of the nation’s largest remodeling companies by Qualified Remodeler magazine. McClurg was ranked No. 198 in the United States and No. 8 in New York State based on 2013 remodeling gross sales. McClurg was ranked No. 205 in 2013. MARCELLUS, NY (July 17, 2014) – McClurg Project Manager Tyler Dixon was presented the 2014 Syracuse Builders Exchange (SBE) Craftsmanship Award, Residential Division at the SBE’s annual awards event on June 27th at the Century Club. The award recognizes exceptional craftsmanship for construction projects completed in Central New York by SBE member employees. MARCELLUS, NY (June 2, 2014) – McClurg, a design-build remodeling and home repair contractor serving greater Central New York, today announced it has been awarded a 2014 Guildmaster Award for exceptional customer service. GuildQuality, an independent customer satisfaction surveying company for the residential construction industry, presented the award. MARCELLUS, NY (December 30, 2013) – McClurg Remodeling & Construction Services, the largest full service remodeling company in Upstate New York, today unveiled a new logo and brand identity to recognize its continuing growth and to align more clearly with its customers. The new branding strategy coincides with the company’s 35th year in business serving Central New York homeowners and business owners. 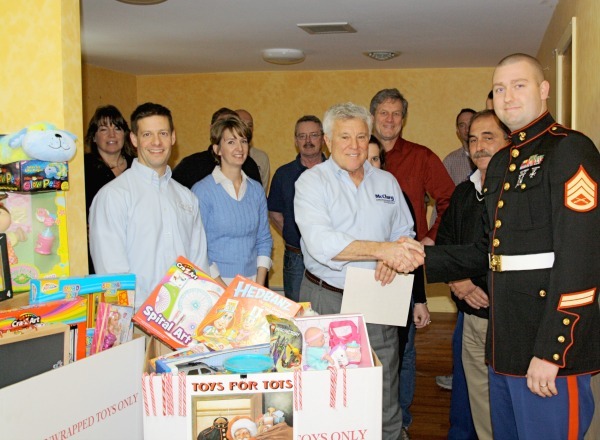 Marcellus, NY (December 11, 2013) - A successful three week effort to collect toys for the local Toys for Tots campaign culminated with the presentation of about 50 toys to representatives from the U.S. Marines, which sponsors the initiative. 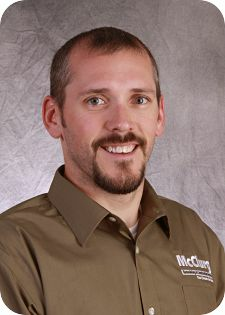 The presentation took place at McClurg headquarters on Monday, December 9th. 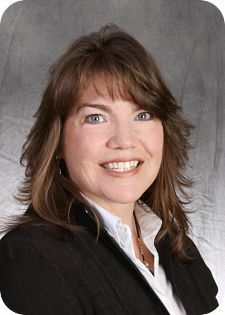 MARCELLUS, NY (December 5, 2013) – McClurg Remodeling & Construction Services announced it has hired Tricia O'Connor as a Project Consultant. Project consultants are primarily responsible for managing client relationships from initial consultation to the completion of the client’s remodeling or home repair project. MARCELLUS, NY (November 21, 2013) – Professional Remodeler magazine has named McClurg Remodeling & Construction Services to its 2013 list of America’s Top Remodelers. McClurg is ranked 108 nationally and number one in the Upstate New York market. MARCELLUS, NY (November 14, 2013) – Professional Remodeler magazine has named McClurg Remodeling & Construction Services one of seven market leaders in the New York/New Jersey region and the number one market leader in Upstate New York for 2013.